BlogHome » Blog » What to do if the team has no processes at all? What to do if the team has no processes at all? 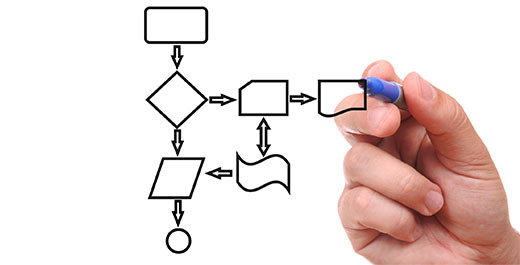 In this article, we look at what to do if the team has no processes at all? In big organizations, a formal visible process is followed. In smaller teams and organizations, an informal process might exist. People may work with some understanding between themselves of how various activities flow into each other. A project is a series of activities that will achieve a definite goal. A process is how this is achieved. An optimized process is one that reduces or removes re-work. Getting it right the first time is the aim! When a set of activities are repeated time and again, one begins to understand what went wrong in the previous projects and how this can be remedied in the next project. Mastery/expertise over coding and testing, understanding industry best practices, learning from previous mistakes and common sense lead to a clear process over time. What we say as process, therefore, comes down to a series of checks to reduce rework, ambiguity, confusion and hence the bottom line. It ultimately translates to $$$! 1. A properly version-ed build – without a proper build, defects cannot be tied down. They cannot be reproduced and hence fixed. 2. A clean, reproducible test bed or environment which is as close to the Production environment as can be. 3. A build is accepted for testing only after the agreed upon ‘Sanity Tests’ have passed. 11. Insisting developers do Unit, Module and Integration testing before QA drop off and reading the Test reports from Development to prioritize testing. 13. Reviews of the various Project artifacts for missing, ambiguous requirements.